Nostradamus has guided me, Psychic John Le Sainte, into the future for several years since 2003. the 500 th anniversary of his birth, and together we compose new predictions and prophecies to warn our troubled world. Over 1,000 are now written. Many readers have sent messages asking for predictions about their part of the world. So, Nostradamus has given me his blessing to jump ahead with specific predictions about certain areas of the world. As unlikely as it seems, Nostradamus and I have seen two psychic Visions of the Future involving a moderate, damaging Earthquake in New York City. 21 break in a submerged tunnel. Through a breach the water will funnel. This first psychic vision is about an Earthquake centered near Manhattan. The submerged tunnels are Subways. What I have seen in the psychic vision, is that the earthquake breaks walls that keep the water out of the subways. Walls are broken in many building foundations and water also pours into basements of buildings in low lying areas close to the water. The power in many sections of the Boroughs of New York City goes out as a consequence of the Earthquake, which is a remarkably mild one. The buildings that mostly will be damaged and collapse are old historic Brownstones. Quite a few businesses in old brick buildings suffer damage or collapse as well. The subways stop and the pumps stop that empty the subways of seeping water. Ground water and Broken Water Mains release a great flood pours in, filling the tunnels, and dozens drown in the underground. For all the damage that happens, there is a surprisingly small amount of casualties in the building and subways. However, another great tragedy could be averted if action is taken now. I do not know if these two events take place simultaneously. 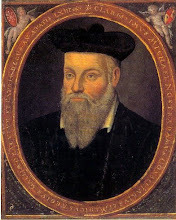 I have been shown these two different psychic visions by Nostradamus on two separate occasions. Iron Bridge of 1905 will Fail. 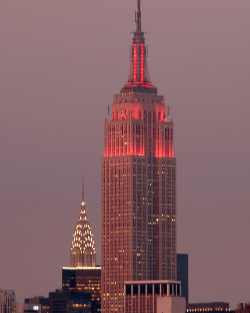 Nostradamus has shown me many visions of this Earthquake in New York City. The most frightening of which involves an old Railroad Trestle or Bridge. It seems to be resting on old rusted joints that looks like they were intended to move or flex as Trains move by overhead. However, earthquake actually somehow occurs along an unknown fault DIRECTLY below this bridge. These moving bridge hinges were designed in 1905 to flex up and down, not back and forth. When the Earthquake Strikes the New York City area , one side of the bridge moves and shakes in the exact opposite direction from the other mooring point of the bridge. derailing two passing commuter trains which plummet 50 feet or so downward into the surrounding buildings and traffic. Great fires erupt in this area from broken gas lines that also straddled this fault. Several Hundred people die or are injured in this tragic earthquake event. This bridge must be easy to Identify and Reinforce. It must be done NOW to avert a huge loss of life, human suffering, and damage to buildings and commuter traffic lines which cut off an important transportation route into the city. These predictions are based upon psychic visions that began in 2003. Each night, The True Soul of Nostradamus visits my dreams and guides me, John Le Sainte into the future and shows me great Tragedies. Here, I will explain them as best as I can with the guidance and Blessing of Nostradamus. Nostradamus Psychic Predictions of the 2008 Presidential Elections John McCain Click Here for SHOCKING Predictions! Click Here to read about Tragic Events in the Future involving a Terrorist Nuclear Attack on the World as Shown by Nostradamus to me, John Le Sainte, In this psychic vision, I write a very detailed account of a Terrorist action that would have devestating effects upon our world if it is not somehow stopped. I reveal details such as a description of the ship used, it's exact name, a full description of the events. Please read it and help me to warn the world of this prophecy shown by Nostradamus. Please click here to see the Truth behind Nostradamus' Predictions of World War 3 and the Truth behind it's true meaning to you, you family and every sole on Earth. Nostradamus explains that World War 3 has already begun. It's a war of Information and Technology and you are already involved! Read about the Future Dangers of a Royal Prince, an Assassination Predicted by Nostradamus and psychic John Le Sainte. Although Nostradamus has shown my this psychic vision of the future in stunning detail, I cannot say who the Prince is that gets killed by an assassin while skiing. It could be one of Princess Diana's Children Prince William or Prince Harry, but I am uncertain as the vision showed people in full skiing attire. It could be another prince from somewhere else in the world or it could be a metaphor for a man like a prince. Nostradamus only informs me that I have witnessed the assassination of a prince.Please read and decide for yourself. To view the Homepage of this Blog for the most Up To Date Postings of Psychic Predictions and Prophecies by Nostradamus and John Le Sainte, Please click here.